Hosting Thanksgiving, Hanukkah, or Christmas dinner? Or, maybe a holiday party is on the horizon? 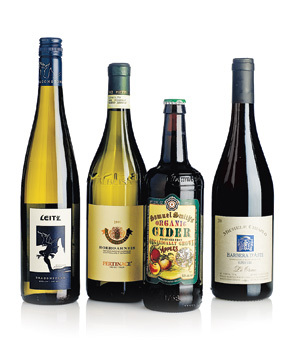 This article from Real Simple magazine's website presents some of the best picks for wines and beers this holiday season. A must-read if you're playing hostess this holiday! If you're not hosting an event, consider bringing one of these picks along with you as a hostess gift when you're a guest. 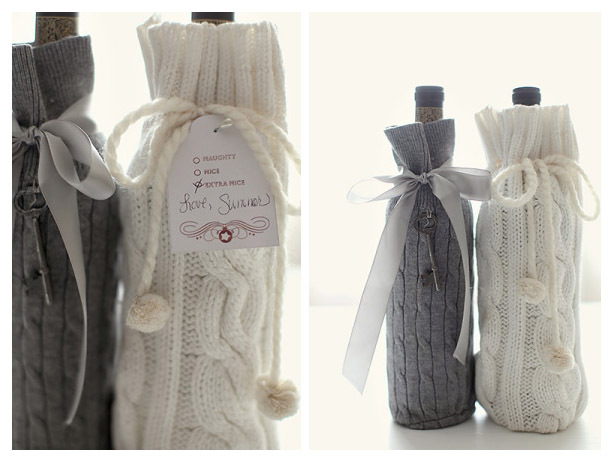 For added festive flair, these sweater-sleeve-turned-wine-bags are perfect! The cozy knit look is perfect for winter gift giving. Cheers!